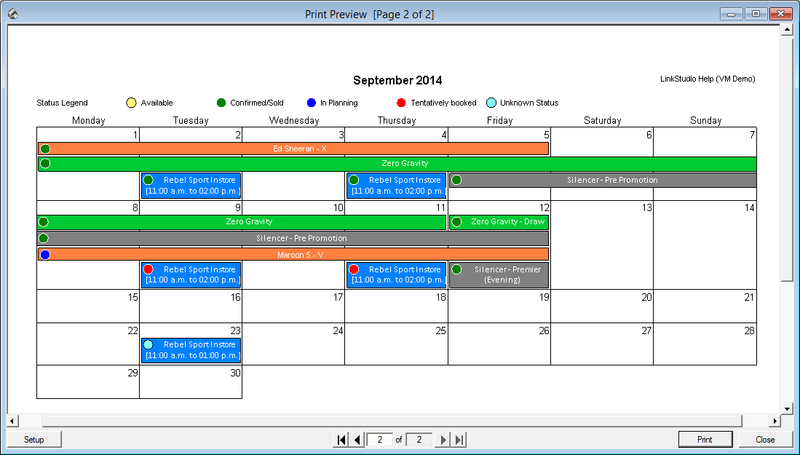 The Events functionality provides auxiliary tools to plan and map out station event activity. Manage the status of an Event from it being in planning through to it being confirmed or sold. Monthly report print options mean busy stations can get a good understanding of activity via an overview or through detailed reporting. Reports can be filtered to target specific areas such as programming features, sponsorships, offsite planning or outside broadcasts etc. Manage resources such as staff and assign sample products from stock inventory to an Event. Create staff memos for those attending station events. Memos can detail site instructions and locations, etc. They could also be saved as a pdf so they can be emailed to other relevant individuals or groups.